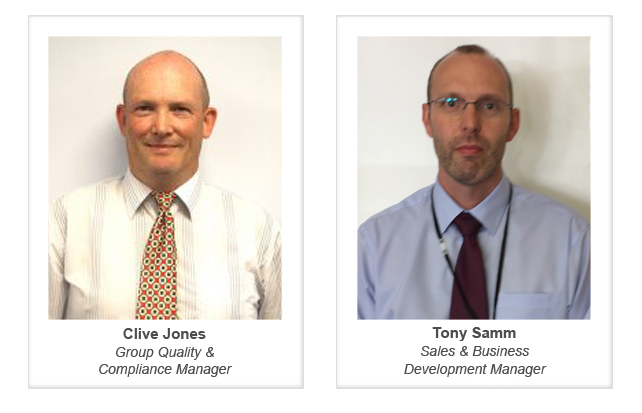 Global network access specialist, The Kenton Group is pleased to announce the appointment of Tony Samm, Sales & Business Development Manager and Clive Jones, Group Quality & Compliance Manager. With more than a decade of experience in the telecoms sector, Tony brings a wealth of experience. Some of which includes communications equipment, UK utilities, national infrastructure architecture and IP surveillance. Having spent many years in sales, technology and new product introduction role Tony Samm will be an invaluable key member in the sales team. Tony will be taking the lead on a number of projects through an array of sectors with both new and existing customers. With an outside interest of motorcycles it is no surprise Tony Samm has previously worked for Harley-Davidson. By contrast Tony also enjoys a spot of oil painting. After worldwide experience in the Army, with mobile and fixed network telecoms service providers, and latterly with a major weighing scale and balance manufacturer, Clive has recently been appointed as the Group Quality & Compliance Manager, with a particular focus on management standards such as ISO 9001, ISO 14001, ISO 27001 and CAS(T) which are vital to The Kenton Group and their customers. Clive will also be looking at opportunities to apply management standards anywhere they can help us deliver better products and service to our customers.